Thor, from the Mighty Avengers is back in this film. He tries hard to battle and help to try and save Earth. The Nine Realms come in from an enemy that is shadowy and tries hard to predate Earth. In the previous Thor films he normally tried to help with restoring the order but always seemed to go back in the darkness. Thor is now on a journey and on this journey he will be reunited with Jane Foster which will cause him to sacrifice it all in order to save everyone. 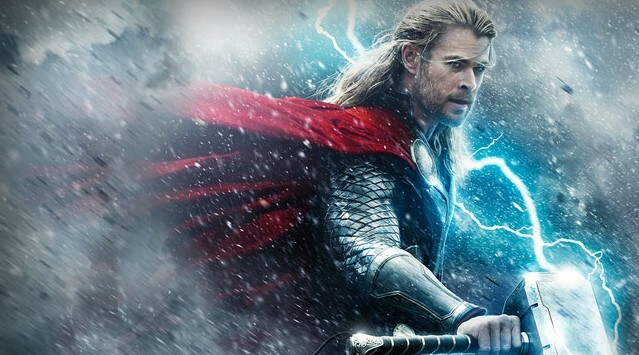 Thor: The Dark World was disturbed by Walt Disney Pictures. It has made $85.7 Million so far according to the box office. It’s roughly around 1 hour and 52 minutes and its rated PG-13. This film is a superhero type of film and it’s packed with entertainment and action. All of the characters in it perform great. It might not be the best superhero film out there but it’s for sure worth watching and more so if you are into Thor and the Avengers. It might not be the best but it is for sure not the worst one out there. Chris Hemsworth (Thor) will not disappoint you with his performance and neither will Natalie Portman even though Portman’s chemistry is somewhat lacking and you could even find it disappointing. I think that no one will be as good as Stark and Pepper Potts and maybe we are all spoiled by the chemistry that the two of them have. What surprised me the most about Thor: The Dark World was that it does have a lot of great humor in it. I enjoyed the humor in the movie and you wouldn’t think that with the title that it has that the film would have any humor in it because the title itself is serious. The action is just awesome. Marvel fans and Thor fans should for sure watch this movie. Check out the trailer below.